The Dodoth- a tall, handsome people of the northern trip of Uganda- are a tribe transition. They are proud, often cruel, warrior herdsmen whose oldest members live just as they did hundreds of years ago, but whose younger members sometimes learn to read and write and have brushed against the modern world. Elizabeth Thomas accompanied three anthropological expeditions to Africa and lived among the Dodoth. She displays a remarkable ability to communicate with the tribespeople and describe their lives and customs. 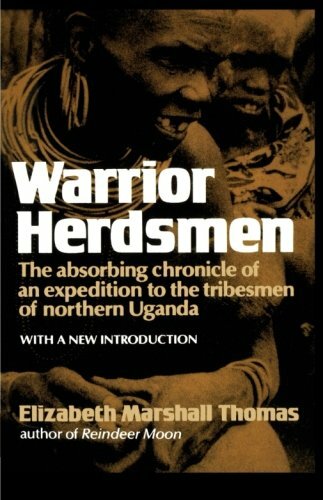 Used Like New (1 available) 0393000400 254pp The absorbing chronicle of an expedition to the tribesmen of northern Uganda with a new introduction. FIRST CHOICE BOOKS, INC.